Every year, doctors diagnose about 2.8 million cases of basal cell carcinoma, which is the most common form of skin cancer. Additionally, there are about 70,000 cases each of squamous cell carcinoma and melanoma. Fortunately, most cases of skin cancer are preventable. These malignancies are typically associated with sun exposure. In the U.S., people usually think more about protecting their skin from the sun during the summer. However, once autumn and winter arrive, they may lose sight of the continued need to shield the skin. This is a problem because too much sun exposure is a year-round health hazard. Intense and intermittent. This type of exposure occurs when people spend most of their time indoors, then go out into the sun for several hours. Five sunburns from intermittent sun exposure doubles the risk of melanoma later in life. Incidental. This is the sun exposure you get from everyday activities, such as walking in a parking lot, waiting for the bus or taking the dog out for a stroll. The damage from incidental sun exposure accumulates over the years, and is associated with basal cell carcinoma of the face, neck, ears, back, shoulders and scalp. 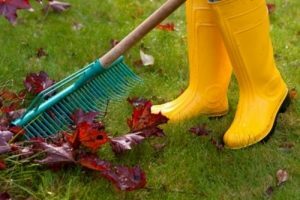 Even though the weather cools down considerably during the autumn and winter months, this doesn’t mean that people stop spending time in the sun. Sun exposure can be a major health worry for people who ski, snowboard or enjoy other outdoor seasonal sports. Ultraviolet radiation can be especially dangerous in the winter because 80 percent of it reflects off the snow, essentially doubling your exposure, even on a cloudy day. Furthermore, winter sports often take place at higher altitudes, and the intensity of ultraviolet radiation increases by up to 5 percent with every 1,000 feet you go above sea level. Whenever possible, stay in the shade between 10 a.m. and 4 p.m., when the sun’s rays are at their strongest. Wear clothing to both keep warm and cover up the most exposed areas of the skin. Sunglasses and sports goggles will protect the eyes and the surrounding areas. Ski masks are particularly helpful in the winter. For everyday use, wear sunscreen that has an SPF of at least 15 and provides protection against UVA and UVB radiation. For intense outdoor activities, use sunscreen with an SPF of at least 30. The face alone needs at least a teaspoon of sunscreen. Reapply every two hours, especially after sweating. Use lip balm with an SPF of at least 15. Inspect the skin for any changes from head to toe once a month. Certain individuals face higher risks for sun damage and skin cancer than others. These include people with fair complexions, several moles, a family history of unusual moles or skin cancer, a personal history of blistering sunburns in childhood or a weakened immune system. If you’re unsure about your individual level of risk, talk to a private health advisor, who can refer you to specialists who can assess your risk factors and provide you with tips on how to protect yourself during the autumn and winter.